Thanks for visiting Custom Touch Electric! We hope you will take advantage of our special offers. 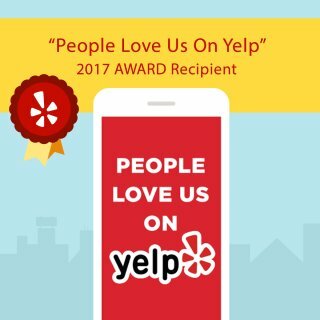 Our aim is to become your go to electricians in San Marcos CA, Oceanside, Escondido, and beyond. We invite you to visit our Fallbrook offices if you’d like a personal walk through of what we can offer. 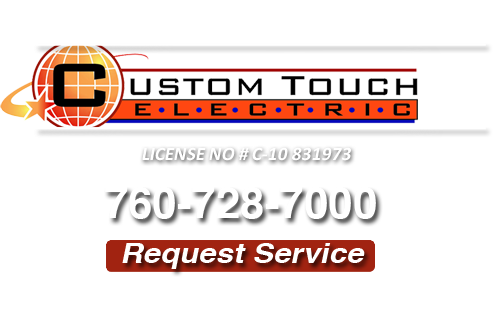 At Custom Touch we pride ourselves on getting your electrical project done right the first time. We guarantee we will take the time to listen to your desires, understand your vision, and develop an electrical solution that fits your needs and your budget. Our electricians can provide safety for you and others during the process of upgrading or installing electrical equipment. The reality is, electricity can be dangerous. Installing new fixtures or upgrading existing ones can lead to shock, fires, and other dangers if not done properly. Let Custom Touch Electric create a safe environment during and after your electrical upgrade. Custom Touch electricians can help save you time. There is nothing worse than investing hours of time into a project that doesn’t achieve your desired outcome. Whether you are in need of a simple consultation or a full electrical makeover, Custom Touch electricians can get the job done quickly and correctly the first time around. Our professional electricians can also help save you money. Every home and office building has the ability to become more efficient. New technologies have made it possible to use far less electricity while still maintaining the same services and comfort. Let Custom Touch help you upgrade your home or business in order to reduce your energy costs now and save you money over time. Thanks again for visiting Custom Touch Electricians. Please check back often to view our new specials and deals. We look forward to becoming your go to electricians in San Marcos CA, Oceanside, Escondido, Fallbrook, and beyond. If you are looking for Fallbrook electrician specials & electrical service coupons then please call 760-728-7000 or complete our online request form.